The Zerouno Duerta has a small, detachable carbon fiber roof and an evolution of the Zerouno coupe's body design. TURIN -- Italdesign will build just five units of a two-seat targa, which shares its platform with the Audi R8 and Lamborghini Huracan. The Italian design and engineering company will debut the Zerouno Duerta targa at the Geneva auto show on March 6. Its development follows the unveiling of the Zerouno coupe at last year's Geneva show. 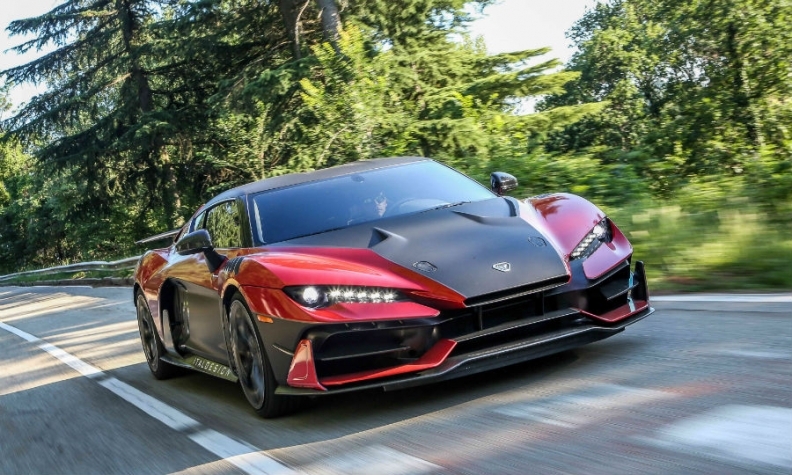 Italdesign said it has already sold two Zerouno targas, which cost 1.9 million euros ($2.4 million) plus sales taxes. All five of the Zerouno coupes have been sold at 1.5 million euros plus taxes. Two Zerouno coupes have been delivered to customers and three are in their final production stage. The Zerouno targa is powered by a 5.2-liter V-10 engine. It has a specially developed carbon-fiber body and a different interior than the Audi and Lamborghini models. 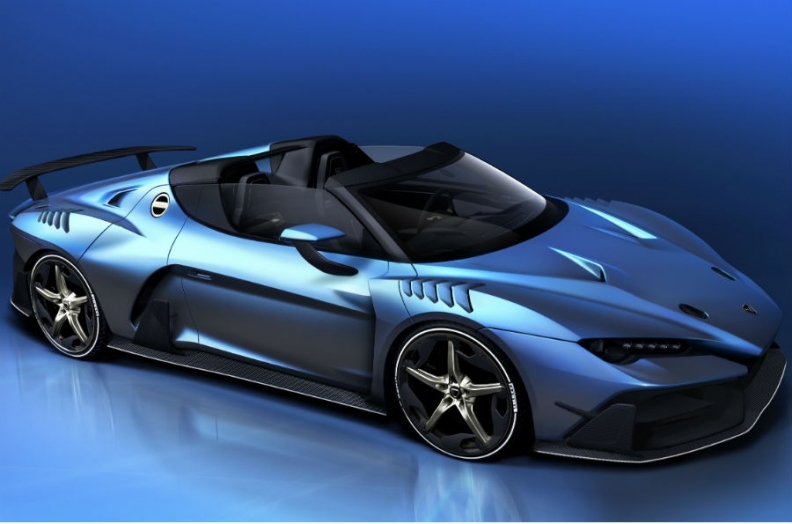 The Zerouno targa is the second product from Italdesign's new Automobili Speciali division created last year to build limited-production cars to show off its prototyping skills to automotive clients. The company is keeping the production low to avoid upsetting established automakers, the main clients of the consulting business that is the core of the company, CEO Joerg Astalosh said. Italdesign, based in Moncalieri, in the outskirts of Turin, was founded in 1968 by Giorgetto Giugiaro and Aldo Mantovani. A subsidiary of Volkswagen Group's Audi since 2010, it provides styling, technological and consultancy services, mostly for VW group companies. All five of the Zerouno coupes have been sold. Italdesign aims to increase its non-VW business to 50 percent by 2021 from 15 percent last year and 5 percent in 2016. The company expects 2017 revenues, which will be announced next month, to be on par with 2016 revenues of about 165 million euros, of which around 5 percent were non-captive. Last year non-VW group revenues grew to about 15 percent of the total. Its 2017 results will be announced next month. In Geneva, Italdesign will also show an evolution of its Pop.Up flying car developed with aircraft manufacturer Airbus. The Pop.Up shows a ground/air vehicle that would offer fast, shared individual mobility in crowded megacities. Italdesign said it would offer more details after the new concept's Geneva debut.